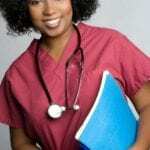 Certified nursing assistants work under the supervision of a registered nurse. They provide direct care services and maintain patients’ comfort. Their general duties include assisting patients with the activities of daily living and grooming, bathing, and feeding. They also perform routine tasks, such as checking vital signs, changing bed linens, setting up medical equipment, answering call lights, and reporting changes in the patients’ condition. CNAs generally work in geriatric facilities, nursing homes, and home health, but they may also work in hospitals and physicians’ offices. A prospective CNA must be compassionate, patient and friendly to provide emotional and social support to residents. The job requires diligence and flexibility as a nursing assistant’s role will involve some unpleasant duties and long hours. A new nursing assistant in Alabama may earn approximately $20,425 yearly, but salaries can increase to $29,556 yearly with experience. Paid vacations and retirement plans may be some of the added benefits. The certified nursing assistant program at Jefferson State prepares students to deliver direct care services in long-term and acute care settings. Graduates will have the knowledge and competency to pass the NNAAP to become certified and listed on the Alabama Nurse Aide Registry. 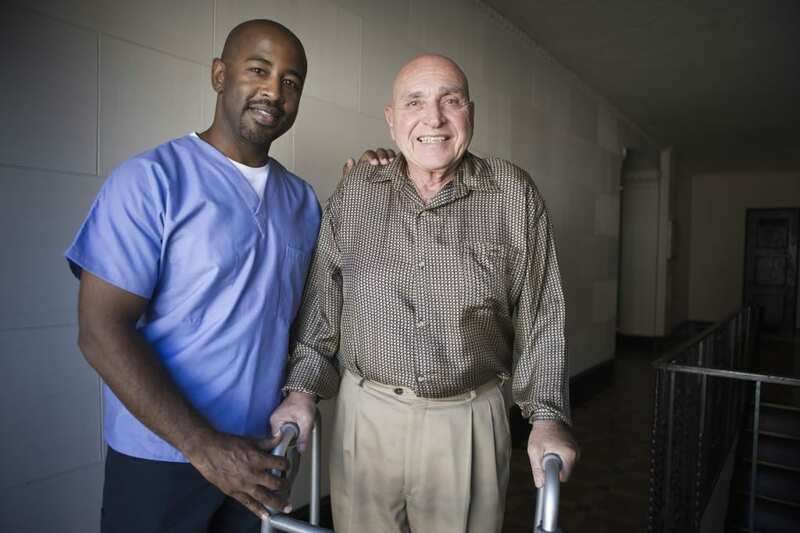 The 110-hour program includes 20 hours of supervised clinical rotation at a long-term care facility. Clinical hours may be at night, weekdays, or weekends. 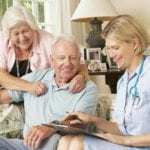 Students learn the language of health care, observation, documentation and reporting, communication and interpersonal skills, patients’ rights, infection control, caring for the dying resident, care of residents’ environment, psychosocial aspects of aging, and the long-term care facility. Applicants may register online or by walk-in during regular business hours. The clinical partners will have vaccination requirements that students must complete to continue in the program. The course fee is $899 for tuition. Additional expenses include textbook, CPR, malpractice insurance, state certification exam, and immunization. Workforce Investment Act scholarships may be available for eligible students. The certified nursing assistant program at Health Care Connection prepares students for state certification. Applicants to the program must be 18 years or older and provide proof of graduation with a high school diploma or GED – you must provide a copy of your transcript to register. Other requirements include English proficiency, TB test, and documentation of immunization – Rubella, Flu vaccine, and Hepatitis. Students must complete the clinical check off with a minimum score of 100% to receive credit for the clinical hours. HCC facilitates day and night classes for students’ convenience. CNA classes meet Tuesdays, Wednesdays, and Thursdays weekly. Tuition for the program is $1050 – a $300 deposit will reserve a seat in the class. The tuition includes the State Board Certification exam – available onsite. Additional expenses include navy blue scrubs, stethoscope, textbook, and blood pressure cuff. Graduates will receive a certificate, BLS/CPR card, and job placement assistance upon completion of the program. Certified nursing assistant students at NAS meet Monday, Wednesday, and Friday from 9:00 am to 4:00 pm for three weeks. Clinical classes are on Saturdays from 7:00 am to 3:00 pm. A high school diploma is not required. However, students must be able to read at a minimum tenth-grade level. The curriculum includes training in the classroom, lab, and clinical site where students work under the directive of a registered nurse. Course topics include body mechanics, basic nursing skills, anatomy and physiology, rehabilitation and restorative care, infection control, nutrition, and vital signs. The total program covers at least 85 hours of training including 24 hours in a clinical setting. Graduates will receive a certificate upon completion and will be eligible to take the NNAAP exam to practice as a CNA. Tuition is $1,700. The certified nursing assistant program at Lawson State is open for enrollment twice per semester. Classes meet Mondays, Tuesdays, and Thursdays for five weeks. Classes are evenings only from 4:00 pm to 10:00 pm. Successful graduates are eligible to take the NACES. The long-term facility course is a total of 4 credit hours. Applicants must complete the Health Form and meet the immunization requirements for clinical placement. Tuition is an estimated $599 plus expenses for books and supplies.